Your website to the most appropriate category. Dead or outdated links from your category. Your listing (if it already exists) edit it to reflect your site. and feature Your listing on top of its category. Your locked listing anytime you like. The Nomoz.org web directory project came to life as a direct response to all the frustrations and complaints by webmasters and site owners regarding the Open Directory project (ODP), better known as The Dmoz.org web directory. The Dmoz web directory is one of the most important Directories on the web. When Webmasters try to get their websites listed at Dmoz they are faced with a multitude of obstacles that lead to frustrations and contempt for the project and all those associated with it. Slow approval process that can at times take literally years for a website to be reviewed. If a site gets listed, and the site owner or webmaster finds that the listing is incorrect or even outdated, they usually can not do anything about it. And although Dmoz is supposed to have a facility for webmasters to update their listings, this method has not worked for most people. On the contrary, some people lost their listing when they brought the mistake to Dmoz's attention. We have heard of a few webmasters who wrote to Dmoz requesting that their listing be removed, and although the project is flaunted as being an "open project", the spirit of openness is completely lacking at Dmoz. Editors have refused to remove those listings, even after the webmasters pleaded with them. (A Dmoz listings can have negative effect on your online business if your business is listed incorrectly, that is due to the overwhelming propagation of the Dmoz Data and the trust that many search engines place in the Dmoz project). 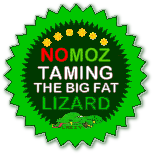 When visiting the Dmoz editor's hang-out at their forums, the constant disrespect, harassment and utter disregard to webmasters had reached a new low even for the notorious Dmoz editors. For the above reasons and many others (too many to list here), we've decided to take the bull by the horn (so to speak), and try to come up with a solution for all the problems above. We didn't need to start from scratch. We decided to take the open data from Dmoz, and roll out a new directory that is fair and equitable to all, while keeping in mind that webmasters are the Internet's most important resource. We are giving them control over their listings. To curb SPAM and abuse of the new directory, we've instituted a fee based submissions, This will help in eliminating abuse (SPAM). Legitimate webmasters who aim to market their businesses, should not have any problems with our small fee. This fee will also serve to keep the directory healthy by provide for future development and help recover the costs of maintaining the directory. Our ultimate goal is to completely revamp the current data in the directory, including titles and descriptions, and also to remove all links that are no longer online, drastically changed or have simply been stuffed where they do not belong. We're also giving webmasters the ability to edit their listings anytime they like. This will translate into a more accurate and usable directory. We hope that Nomoz will be quickly accepted as the new and better alternative to the old and highly controversial Open Directory Project. Please note: We are not affiliated with the Open Directory Project (ODP) nor with its parent companies (Netscape, AOL). The Nomoz web directory is an independent project that aims to refine and improve the existing directory data with direct input from Webmasters instead of relying on "volunteer" editors who may have ulterior motives that usually leads to abuse due to conflict of interests. Copyright © 2006-2013 Nomoz Web Directory - All Rights Reserved.